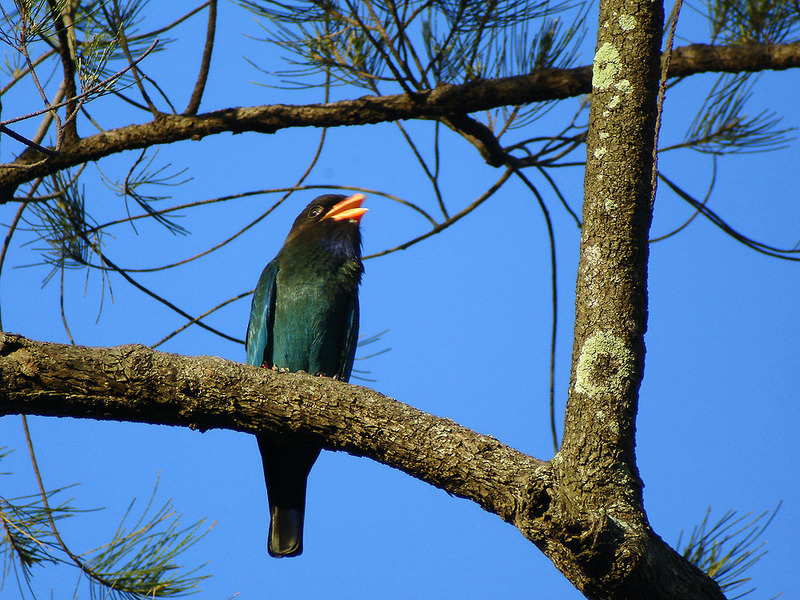 The Dollarbird Eurystomus orientalis is the only roller found in Borneo. It’s a common resident of the lowland and coastal forests where it is frequently seen perched on exposed or dried branches from where it makes aerobatic flights at insects. The bird often appears all dark at a distance, its splendid plumage better enjoyed through a scope. In flight, a silvery patch is prominent under each wing. This is also displayed in other mynas.